“In home kitchens across the country, cooks are making a change you can taste." That alone is something to celebrate. 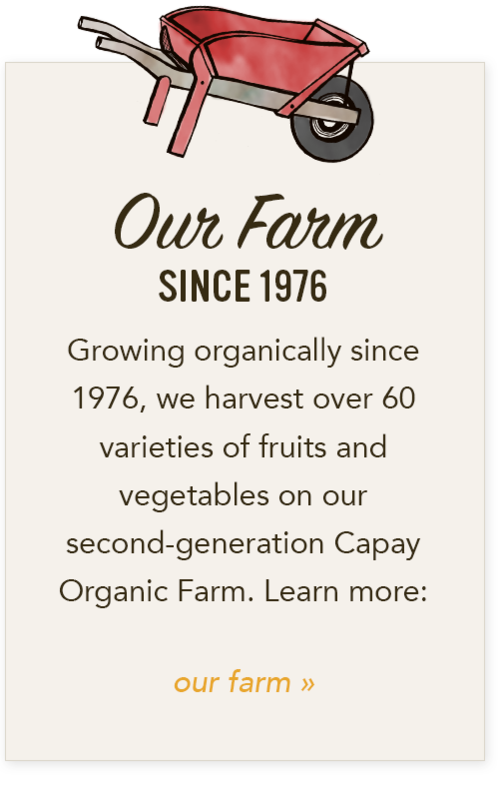 As we celebrate the 35th anniversary of our own organic farm, we see this change happening every day, and it both humbles and inspires us. As you share recipes, stories and photos from your own kitchen, we get to experience first-hand what it means to be a CSA – and how amazing it is to see what grows in our fields appear on your tables in the meals you share with family and friends. Recently, we had the honor of speaking with local acclaimed cookbook author and journalist, Janet Fletcher about her book Eating Local: The Cookbook Inspired by America’s Farmers. 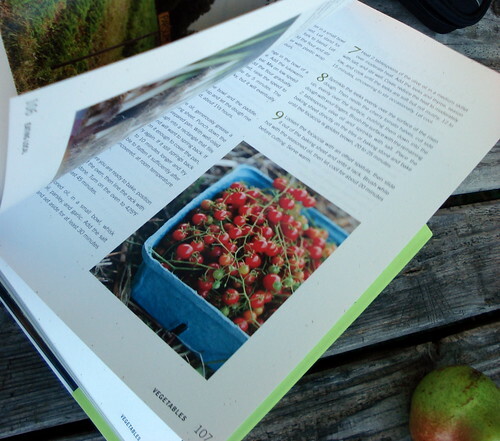 A gorgeous and tempting read, Janet's cookbook serves up 150 recipes for making the most of the fresh ingredients in a CSA box or farmer's market. 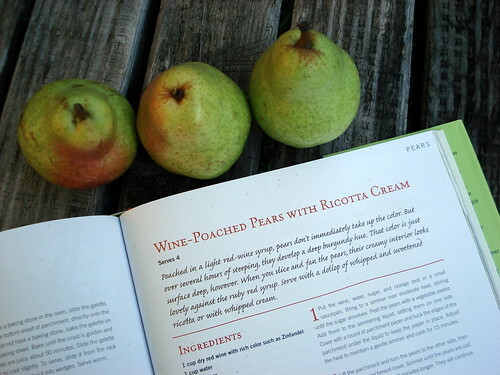 She autographed a book for us – and we're hoping to give it to one of you, our Farm Fresh To You CSA fans! 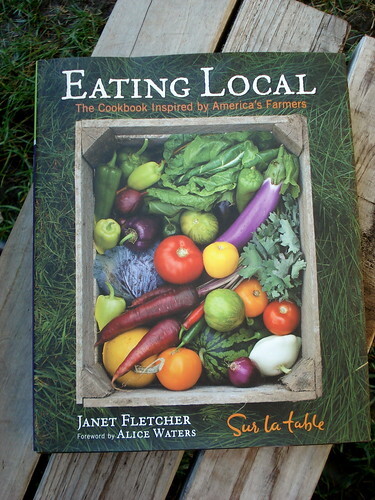 To enter to win a signed copy of Janet Fletcher's Eating Local cookbook, simply leave a comment below sharing what you like about belonging to a CSA (one entry per person, please). Comments will close on Monday, September 5th at 8a.m. Winners will be chosen by Random Number Generator and announced here on Tuesday, September 6th. A big thank you to Janet Fletcher and be sure to check out Eating Local! Good luck to all! 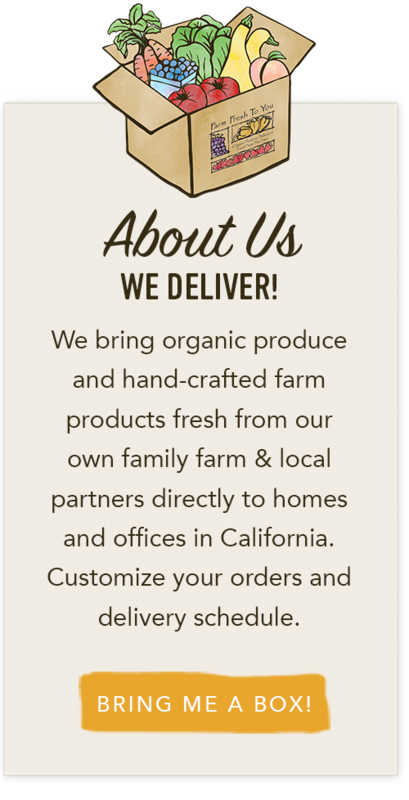 It's like Christmas, but better than toys: Fresh fruit and vegetables--that I can trust to be organic--arrive to give me a fun challenge to prepare them as healthfully and appetizingly as possible. Thanks Nan! Thank you again to all who entered - we are enjoying your comments so very much!